I’ve been on a big popcorn kick lately. 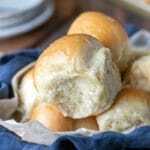 It’s such a great blank canvas snack, so you can top it with just about anything. 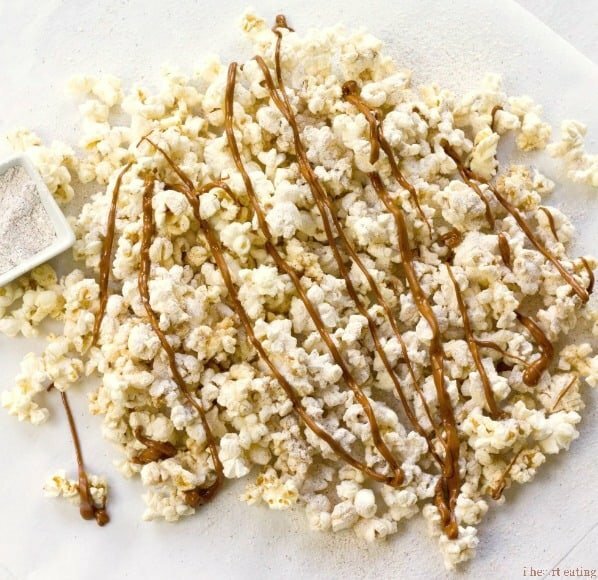 I am especially fond of turning desserts into popcorn toppings. 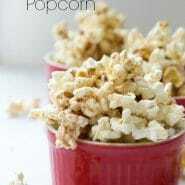 One of my favorites is this browned butter snickerdoodle popcorn. I used browned butter, which is one of the most delicious foods ever. Then, I dusted it with cinnamon and sugar and topped it with a cinnamon drizzle. The cinnamon-sugar mixture is enough for a generous dusting, so if you don’t like things very sweet, or if you want more of a cinnamon-y, sweet and salty, kettle sort of snack, then cut the cinnamon-sugar mixture portion of the recipe in half. 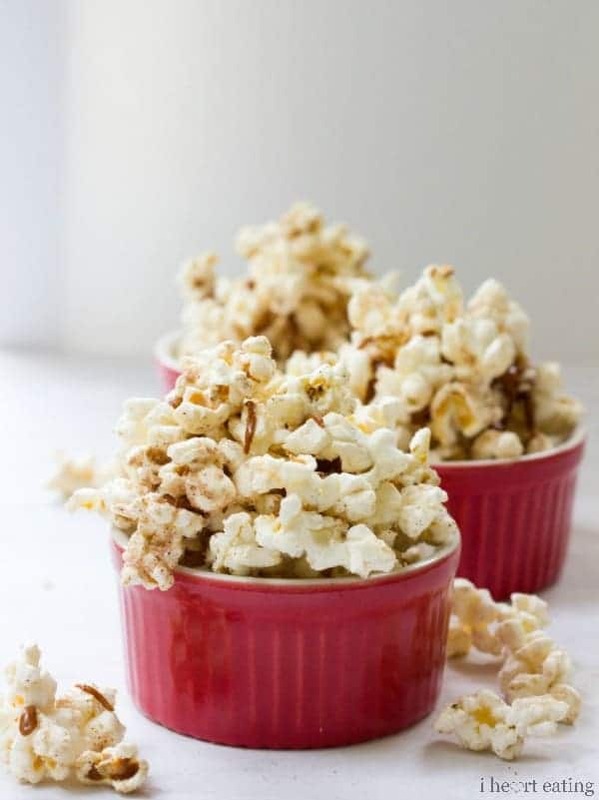 This browned butter snickerdoodle popcorn is such an easy snack or dessert! It’s great for movie night or as a game day snack. Microwave popcorn according to package directions. In a small saucepan, melt butter over medium-low heat. Continue cooking butter, stirring occasionally, until butter turns amber brown and starts to form specks. 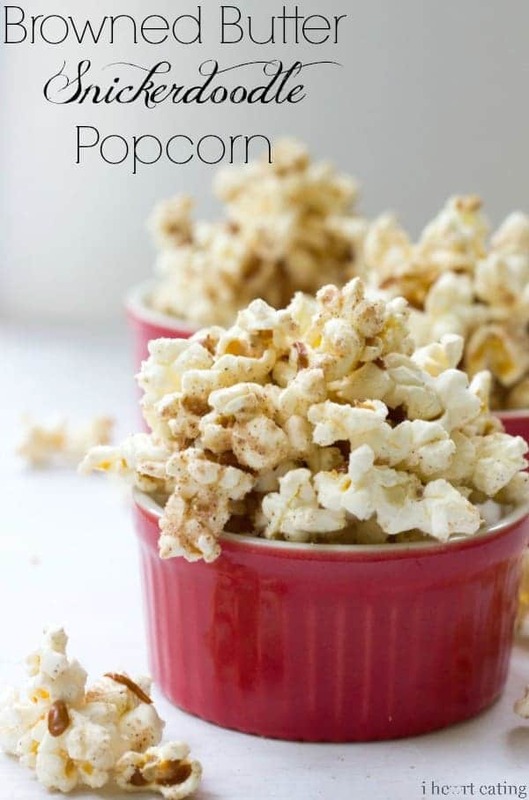 In a large bowl, toss together cooked popcorn and browned butter. In a separate small bowl, whisk together powdered sugar, granulated sugar, and cinnamon. Sift cinnamon sugar mixture over popcorn. If using cinnamon chips, microwave for 30 seconds. Stir chips, and continue cooking in 10 second increments until melted. Cinnamon drizzle will set up in about 10 minutes. This… Was… AWESOME! Didn’t have cinnamon chips, but it was still good! Yum! 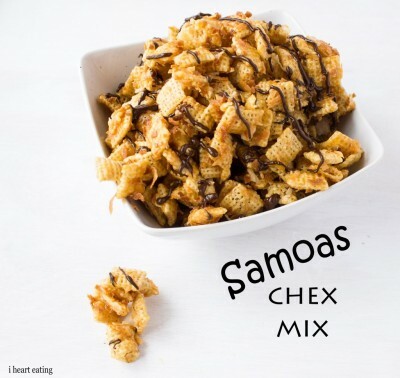 Cheap, easy, and delish. Whoa, I think I’m in love with this popcorn! Brown butter all the way! Thanks for linking up with What’s Cookin’ Wednesday! This popcorn sounds amazing Kate! Pinned! Oh, my goodness! This looks amazing! I love snickerdoodles and I love popcorn. I’ll have to try this for sure! I would love for you to share this at our blog hop. 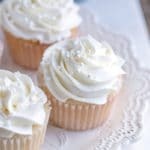 https://posedperfection.blogspot.com/2013/07/all-things-thursday-blog-hop.html Have a great week! This popcorn looks amazing! I absolutely love browned butter. I recently made brown butter snickerdoodle cookies, the browned butter takes a snickerdoodle to a whole new level. I can’t wait to try this popcorn! Browned butter is quite possibly my favorite thing. 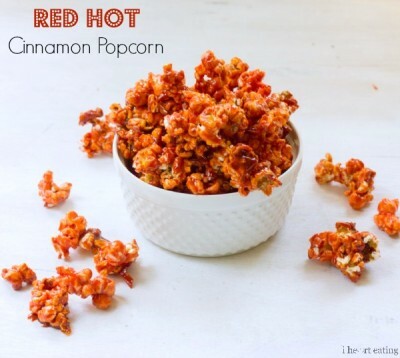 Add that to my love of all things snickerdoodle and this sounds like my kind of popcorn!! Well, you and I would get along just fine! It’s one of my favs, too!! 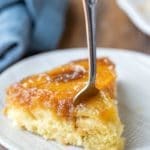 I love butter, but browned butter just takes it to a whole ‘nother level!